At the end of the Summer, our current gap year trainee Jemma will be leaving The Wave to start the next part of the adventure God has in store for her. While we'll be sorry to see her go, it does mean that we are able to offer someone else the brilliant opportunity of spending a year (or maybe more) working alongside the team in Swanage. 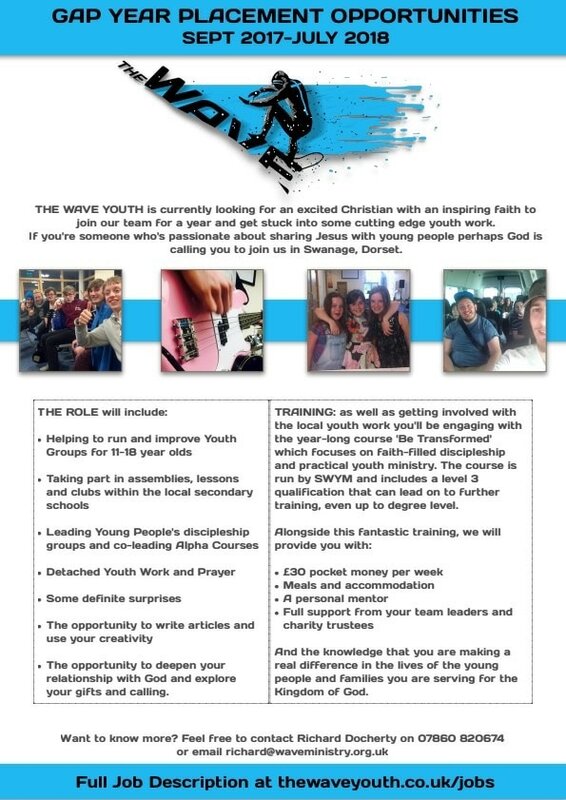 For a more detailed look at what the role entails Click Here and if you think you might be our next trainee, get in touch via the contact page or the buttons at the bottom of this one. Likewise if you have any other questions or want to know a bit more about the role or life in Swanage, get in touch.